NX-MET was created in 2009 by three partners. Managers of NX-MET have over 30 years experience in metallography. Main development priority are Quality, Customer Service, Competitive price. In the interest of sustainable development, we strive to preserve the environment. 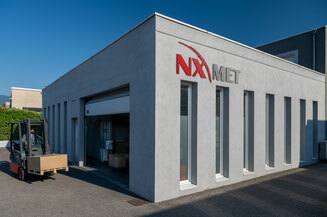 NX-MET today , it is 75% of its turnover at Export, mainly in Europe and Asia, through distributors and agents. NX-MET has selected for you the best European products to ensure the highest quality for your samples preparation. NX-MET manufactures diamond products with diamond powder of the Highest Quality and perfectly micronized. Standard products to products developed for specific applications, our experience allows to best meet your needs. Our manufacturing laboratory controls raw materials and finished products. NX-MET specialist for diamond suspensions, diamond pastes alumina and silica suspensions, polishing lubricants, water or alcohol base. Customer Service : Our structure is organized to process your orders as quickly as possible. Most of metallographic consumables are always in stock, allowing us shipments on the same day or 24 hours! Listening to the customer, his needs, his claims are a priority for NX-MET. Our customer relationship is pro-active. We anticipate. Our pricing allows us to be more competitive in the market. In addition we study specific offers for large volumes. As we don't manufacture machines, we are focused on consumables.